We’re out the gates! Our Kickstarter project is live, and we will use our blog (and the Kickstarter site) to update our visitors on the progress! So far $2,552,00 has been donated, which means that we’ve funded about 5% of our project. We’ve still got a long way to go, so lets focus on our short term goals: Twice a week, we will have an update about the game and about the progress in the Kickstarter project. Q: Will you support Linux? A: Since we’re developing the game using Unity3D, we’re bound to whatever platform is supported by the engine. Currently, there is no native Linux support for Unity3D. However, we will definitely support it, should it become available. Q: I would like to support the project, but I don’t have a credit card! A: The game will have a 3rd person birds-eye perspective, similar to what you’re seeing in the Animated GIF. 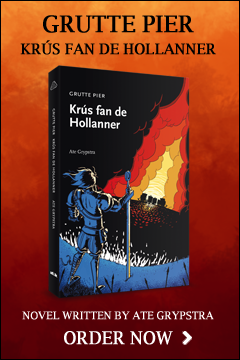 You as the player will control “Grutte Pier” who will gather an army of soldiers (farmers) to aid him in his quest. The main goal is to liberate the towns and villages from the enemy oppressors who appear in about four different factions (even though the saxxons were the reason Pier went to battle, there were many small armies trying to get as much as they could back then). Each faction has a different level of hostility against Pier and his men, and different levels of hostility against each other. The result is an interesting game world where you have to watch where you’re going, or who you’re challenging. Pier will start out as a humble farmer, but soon people will recognize his cause and start joining his group of warriors. We’ve created this group to be a flexible company, so soldiers will leave and join the group depending on which village travel through. They might stick around in the inns or brothels or they might get up from their chair and follow you to the next battle. As Piers’ actions become known to the people, more soldiers will join the group, ultimately forming a formidable army. Controls are kept clean and simple. Similar to games like Zelda, action is based on timing and reading the opponent’s movements. However, there are several forms of attacks, and Pier is able to use the (destructable) environment as a weapon as well, throwing debris and objects at groups of enemies to knock them over. As the legend tells us, Pier was so strong he could lift a horse, Pier would not have a problem picking up something that would crush an opponent with ease. Your men won’t get in your way, and are actually eager to start fighting themselves. The result is t hat once you encounter a group of enemies, the scene turns into a battlefield in no-time. Pier is still able to move around the battle field, “helping out” his men with his huge 6-foot sword. By using simple commands, Pier is able to focus his army on certain enemies to weaken or create diversions. We plan to have pretty big battle scenes, and we’ve tested battles of over 200 soldiers at once without any problems. Battles in villages will likely be a lot smaller than this, but because the bodies of the victims remain out in the open until they are removed by the villagers, you will be able to “enjoy” your victory for quite some time after the battle is finished. Let us know if you run into other websites that have featured Cross of the Dutchman or our Kickstarter project. We will keep track of all of them as often as we can. 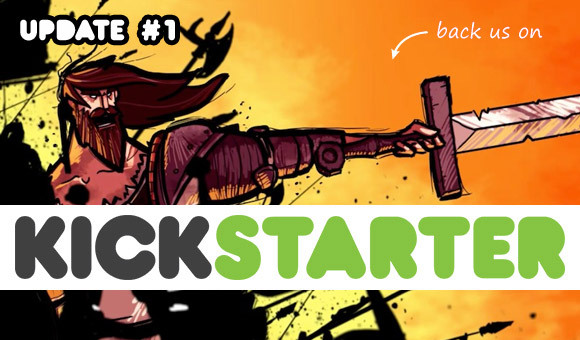 Even though we dislike Spam like most of you, we need to spread the news about Cross of the Dutchman and Kickstarter as much as we can. When you’re backing us, or when you’re just interested in the project in general, please consider sharing with your friends or family. Your efforts will help us make this project a success! Good stuff! For CotD it is all about spreading the news and letting people know about it. Hopefully without being too annoying, and also mostly towards people who’ll like the concept. Thanks for spreading the word! Seing the list of websites that covered the game, I’m surprised this project only has a 100 backers. I think you’ll find this game is worthy of investment. I also invested ‘more than 1$’ ;) And for good reasons. Just take a look around the forums and convince yourself :) The amount of time and effort the developers have put in to this project is praiseworthy, and they have loads of progress to show for. Especially the drive to obtain historical accuracy is really awesome.